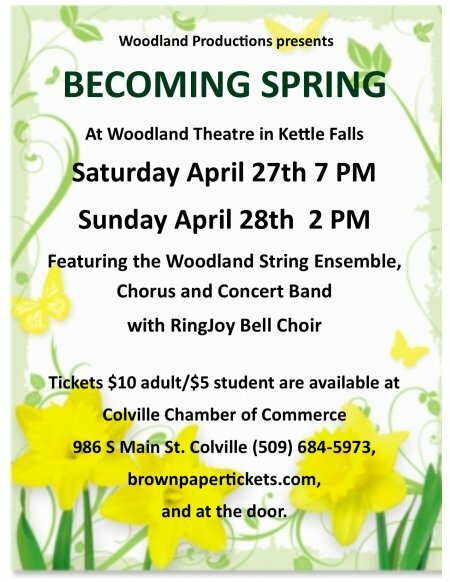 Our annual spring concert will be at the Woodland Theatre Saturday April 27th 7pm and Sunday April 28th 2 pm. The band, with Gary Killings as the Director, is playing varied pieces of music from “The Great Locomotive Chase" to “Music from The Incredibles.” The choir is planning to sing a Cole Porter Medley with instrumental accompaniment. The strings and the Ring Joy Handbell Choir will fill out this warm and thawing spring concert. Disney's "THE LITTLE MERMAID JR"
Other future productions are in the planning stage.